How I got in to tomb raider - leestombraiderfansite's JimdoPage! I bet your all wondering how I became a Big Tomb Raider fan? Well this is how. In the Winter of 1997 I was at a friends and he was playing on his Sony Playstation. He was playing a demo disc out of a magazine and on this particular game he was on there, there was a woman swimming in a tunnel to get a key. As soon as she got out of the water she was attacked by a Tiger! Sound familiar? Yeah the first level of TR2. I was overwhelmed by it all. My mate let me play it and I enjoyed every bit of it. That same year my Mum got me a PS1 for Christmas and I started looking around for the first Tomb Raider game but i couldn't find it so I brought the game to the demo I was playing. 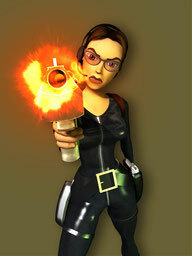 Tomb Raider 2 was Brilliant. The action. The adventure and the puzzle's. My mate even ended up borrowing it off me. I got the guide book which came with a few poster's, and that is what made me a collector. After I completed it I managed to find the first Tomb Raider in the shops and started playing that one and coincidentally after finishing that game TR3 was just released. As strange as it sounds I started to collect magazine article's and guide book's at this point and i have quite a collection now. Christmas of 1999 I got Tomb Raider The last Revelation but due to personal reasons it took me 3 Years to complete this game. Let's just say my Memory Card got nicked. At this point I started to get more posters and build up my collection. I got Tomb Raider Chronicles and Angel of Darkness. I even got a free DVD with Angel of Darkness because I pre-ordered it. Over time I got Legend, Anniversary and Underworld and also started to shop on Ebay to build up my collection. I have spent quite a bit on it, but i love my collection. I have an e-mail pen pal who is also mad on Tomb Raider. 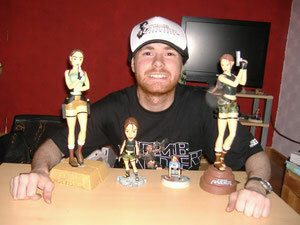 People say that I'm mad to be a Tomb Raider fan but I'm proud of it. 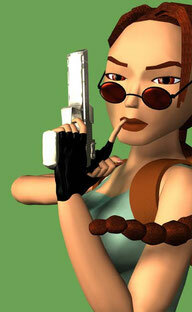 Lara has become a big icon in the gaming industry and an Icon in my house. I have pictures and statues In my house for visitors to see and have made my own CD roms collection with cut scene's and screen shot's. 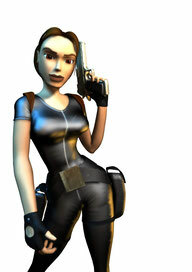 Then over time came another reboot to the series and a new story for Lara was created. My perception of Lara being a new survivalist when this all came out worried me but over time she grew on me and the changes were loved by me in the end. I love being a Tomb Raider fan. Thanks for reading. Shadow of the Tomb Raider: My Review.